Two definitive shooters, and possibly three are the current information provided by the mayor of Baton Rouge, Lousiana. Speaking to reporters in Baton Rouge, Corporal McKneely said officers responding to the shooting were checking the area for possible explosives. “We’re going to check the scene thoroughly to protect ourselves,” he said. Sunday’s shooting is the latest episode in a month of violence and extraordinary racial tension in the country and took place less than two weeks after two police officers in Baton Rouge fatally shot Alton Sterling, a black man who was selling CDs outside a convenience store. The night after Mr. Sterling was killed, a black man was killed by the police during a traffic stop in a Minneapolis suburb, and then the next night, five police officers were killed by a gunman in Dallas who said he wanted to kill police officers, particularly white officers. Details about the shooting remained sketchy Sunday afternoon and there were varying reports about the number of officers wounded. Earlier reports said that seven had been wounded. The authorities said the shooting unfolded at about 9 a.m. Sunday near the Hammond Aire Plaza shopping center on Airline Highway. Officers from both the sheriff’s office and the Baton Rouge Police Department were wounded, the statement said. Protests have been held along Airline Highway, which also runs in front of Police Headquarters, since the police shooting of Mr. Sterling on July 5. An administration official said the president had been briefed on Baton Rouge shooting and the White House had offered any assistance necessary to local officials. Corporal McKneely said it was unclear if the shooting on Sunday was connected to the protests, which had been losing their intensity over the last few nights. “We are not sure of anything right now,” he said. Vancel walked outside the home and went toward a Party City store when he saw a man lying still in an empty parking lot. He couldn’t tell if the man, who was wearing civilian clothes, was injured or just staying out of the way of gunfire. About 40 yards away, Vancel said he saw a man running toward him carrying a rifle. Police were not on the scene yet, Vancel said, but sirens could be heard approaching the area. The man was wearing all black and had a black mask over his face, like a ski mask, Vancel said. The man stopped and looked toward Vancel, before running the opposite way toward Airline Highway. Vancel said he also turned and ran back to the house where he was working. “The only thing my eyes kind of locked on was the rifle he was carrying,” said Vancel, who couldn’t determine the race of the gunman. From inside the home, Vancel said he heard dozens more gunshots. 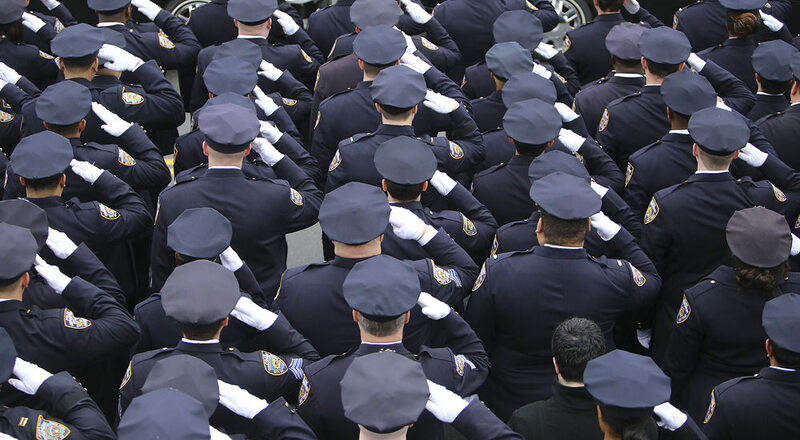 The time to put the BLUE LINE IN YOUR PRAYERS, AND SUPPORT ALL OF OUR OFFICERS THAT KEEP YOUR FAMILY SAFE EVERYDAY. We need the division to stop, and a unification of everyone to keep America safe. Terrorism is never acceptable, and the reason for it is never a good cause. Obama Welcomes Muslims in Wake of Terror Attack in FranceRNC Chair Declares "Never Trump is Over"